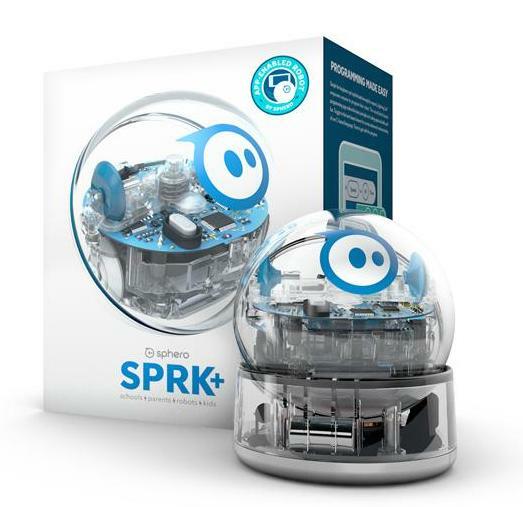 Looking for the best gifts for tech savvy kids? 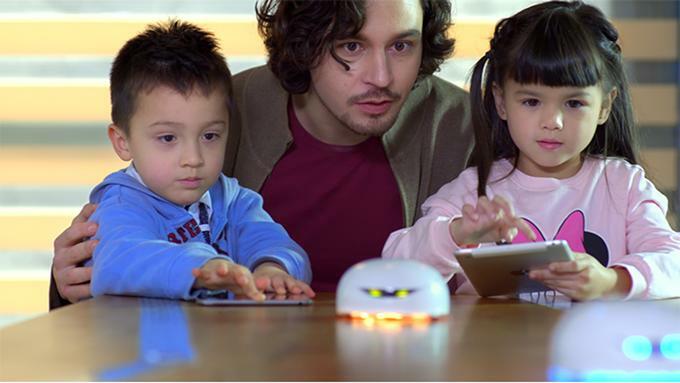 Look no further; we have the most 'Useful Gifts for Tech Savvy Kids' from all over the world. 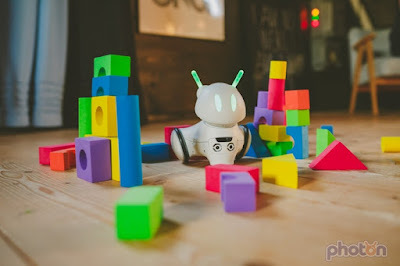 Photon: Photon robot grows with the kid and makes it easy for them to take their first steps into the world of technology. It motivates kids to gain knowledge while keeping them engaged in a fun tale. It gives kids programming related challenges. Finishing challenges awards experience points that kids can use to unlock new senses for the robot or boost his parameters according to their taste. It comes with kid friendly app that let them interact with their robot and create their own programs. The language used by this smart robot is based on colorful blocks and inspired by Scratch and Google Blockly. Buy Now. 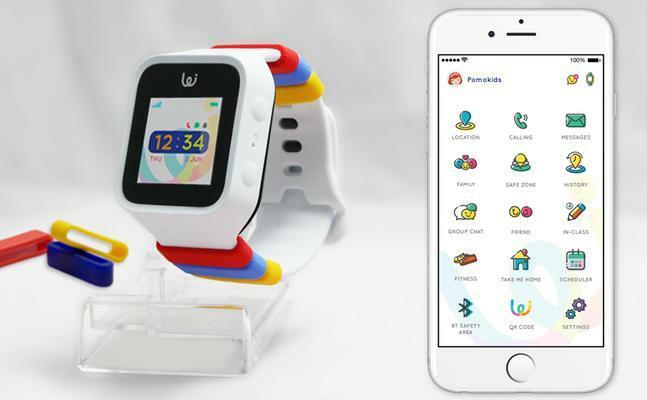 Pomo Waffle: Pomo Waffle is a fun and fashionable GPS smartwatch for kids that keeps them organized, lets them develop creativity and responsibility. Kids can read the time through pictures that are easy to understand and encourage learning. It works as a stand-alone or a GPS smartwatch if the Simcard 2G/3G function is enabled. Once Simcard 2G/3G function is activated the kids will be able to send voice notes and share their special moments with you throughout the day. 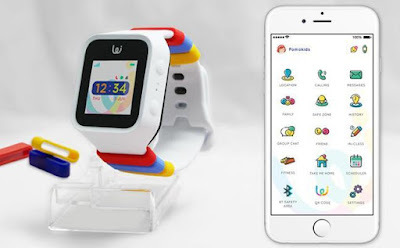 It features scheduler (to get kids organized and for them to stick to their responsibilities around the house), alarmclock, in-class mode (to stay focused while studying - all functions of the watch are turned off), take me home, smart locator, safe zone, best friend forever (can use the watches as a walkie talkie) and more. Buy Now. Voice Interactive Spider-Man: Now have the Spiderman as an ally, he is interactive, immersive, and intellectual. He is here to guard the room to stop snooping siblings, or set him to wake one up or just watch him react to people passing by. 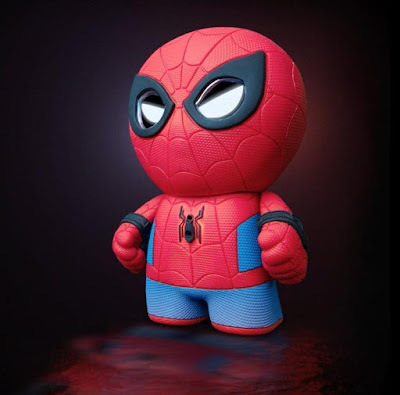 Comes with fully animated eyes and motiondetection, and its Wi-Fi capabilities allow for new stories, jokes, and other content updates. What more, one can talk to Spidey using a variety of phrases. Buy Now. 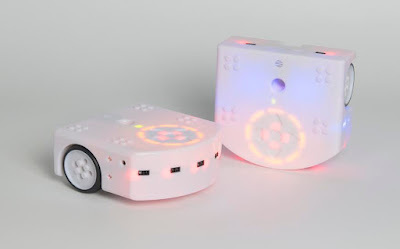 Vortex: Vortex is a smart and responsive robot that kids can play with and program. It comes with four pre-installed games, is compatible with iOS and Android devices. 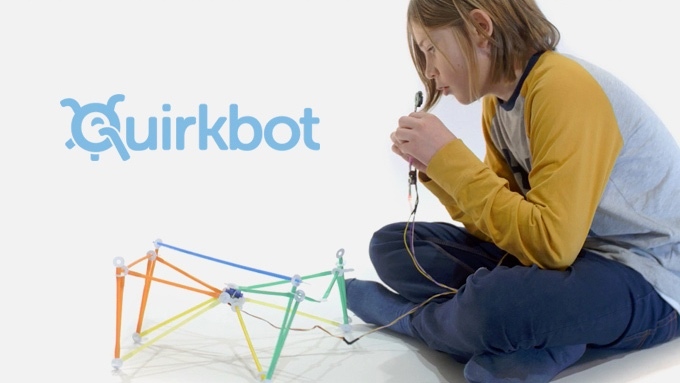 Using the Vortex and apps, kids can play different games, learn about robotics, and even create their own. Vortex is open-source and is compatible with Arduino and Scratch. Buy Now. Octopus: Octopus is an iconbased watch that teaches kids good habits and the concept of time. It features scheduler (to get kids organized and for them to stick to their responsibilities around the house), and assistant feature that allows the parents to prioritize expectations and stay consistent with daily routines. Buy Now. FollowGrams: FollowGrams is a smart projector designed for kids that teaches them how to draw using animated step-by-step instructions just like a professional sketch artist. Apart from drawing, kids can learn how to write letters and numbers too. It connects to the smartphone via Bluetooth, kids need to take a picture of anything or anyone, then apply any of the several filters available in its app, and FollowGrams projects the picture into a traceable image onto paper. Buy Now. 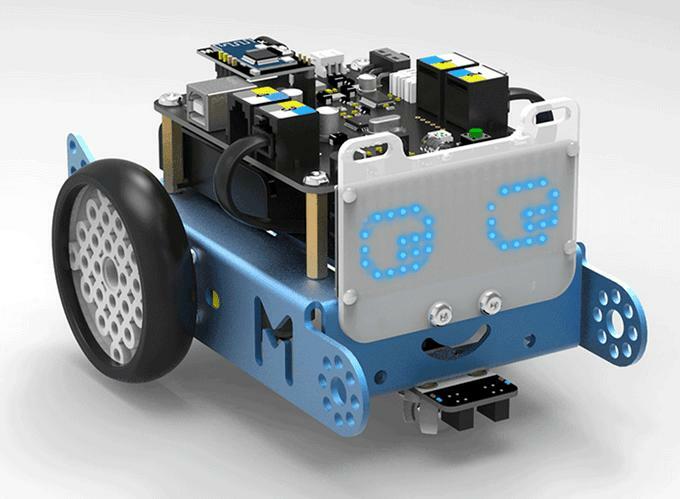 Wink: Wink is an Arduino-based robot designed to transition students from graphical programming to more powerful written code languages. Buy Now. CHiP: ChiP is a robot dog that needs attention, likes to play, goes to sleep and more. 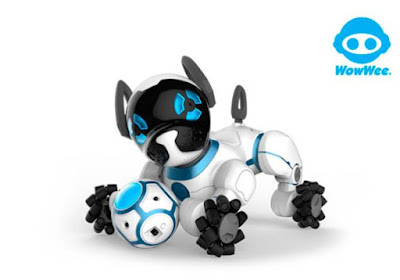 He can recognize, is trainable and can be kid's best friend. It comes with smartband that lets him to uniquely recognize, follow, and wait for the kid to come home, and remind him or her for mealtime or playtime. Buy Now. 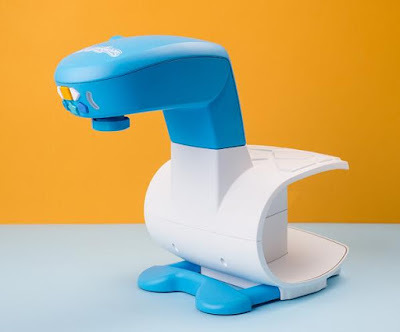 Wireless Thymio Robot: The Wireless Thymio Robot lets the kids learn the fundamentals of technology, computing and programming. The new Thymio can be programmed wirelessly using a USB dongle. Thymio comes with six pre-programmed behaviors, kids can use visual programming language to develop logical and creative thinking and textual programming language to code like an engineer. Buy Now. 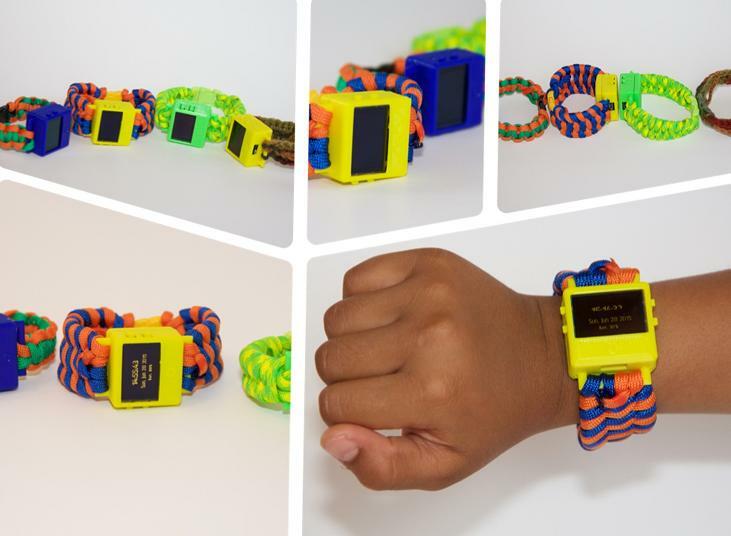 O Watch: O Watch is an Arduino compatible smartwatch kit for kids to learn programming, 3D printing and crafts. This 3D printable smartwatch kit for kids comes with a complete set of components and easy-to-use online instructions to create their own smartwatch. Buy Now. Quirkbot: Quirkbot makes it easy for kids to make their own robots with straws. It's microcontroller compatible with Strawbees, allows kids to build robots with readily available materials like regular drinking straws, hobby servos (motors) and more. One can program the device via USB from their website. All one needs to do is just drag and drop the components they want to program, connect them and press upload. Buy Now. 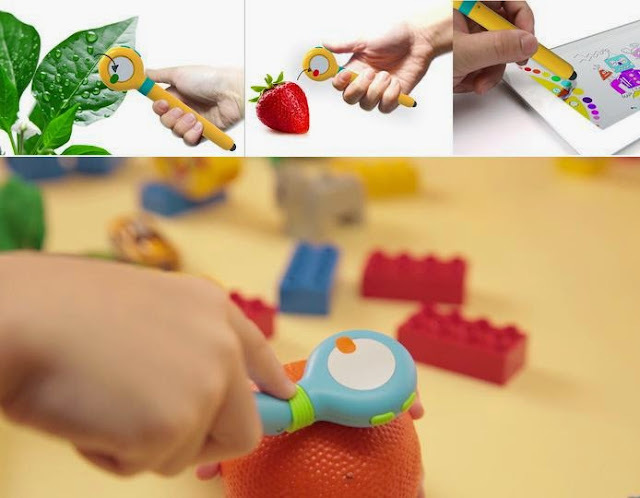 Mozbii: Mozbii is a color-choosing stylus specifically designed for creative kids. All one needs to do is simply press it against the surface from which they want to copy the color and wait for the display to light up and blink the copied color, then draw that color on the coloring-book app. Its built-in memory can hold 12 colors, is designed to attach to any metallic surface such as the fridge, and comes with a magnetic recharging connector head. This lollipop-shaped stylus will work on iOS and Android devices. Buy Now. Sphero SPRK+: Sphero SPRK+ is a cute robotic ball that makes learning programming easy, with complete hands-on activities, and more. It can navigate a maze, mimic the solar system, and more. It has a range of 100 feet and connects via Bluetooth. Buy Now. 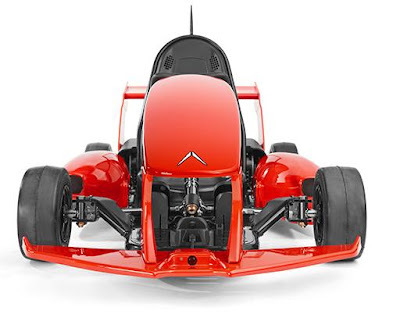 Arrowsmart-Kart: The Actev Motors' smart kart comes packed with enough power along with smart features that ensure the kid's safety on the road. Using its app (iOS and Android) one can limit speed, track kart's location, set geo-fencing limits and stop it remotely. It comes with top speed up to 12 mph (19.3 kph), capacity 73 lbs (33 kg), rigid steel chassis, seat with dual speakers and indicator light, proximitysensors, is Wi-Fi and GPS enabled and more. Buy Now.